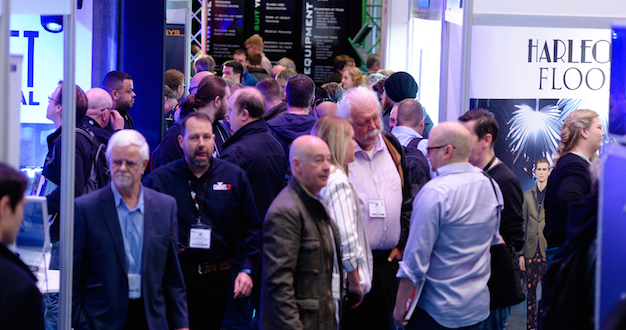 After its annual Leeds event drew to a close on Wednesday 10 May, PLASA has reported high levels of enthusiasm from the industry that it says proves how the show’s Focus formula remains "a perfect fit." As well as being the ideal platform for many UK debuts of new products, the show also offered multiple networking opportunities and a seminar programme that combined expert-led sessions and hands-on training. New audio products on display included Shure’s UK launch of the Axient Digital wireless system; the first UK tradeshow appearance for QSC’s new K.2 loudspeakers; Martin Audio showed its new Wavefront Precision Series – a new generation of multi-purpose line array; Bose introduced the ShowMatch DeltaQ Array loudspeaker for both rental and install applications; and Sound Technology showcased new products from Harman’s JBL Professional, Crown and Soundcraft, plus Harman’s Connected PA system. The busy showfloor was complemented by a rich programme of content that saw PLASA collaborate with manufacturers, venues and industry associations to deliver sessions designed to inform and inspire visitors. 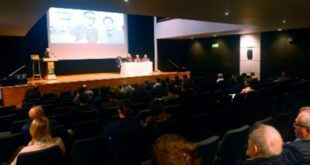 Phil Ward, audio journalist and regular contributor to the PLASA programme, hosted a panel session titled ‘Is Point Source Fighting Back?’ Ward was joined by audio experts from Funktion-One, Danley Sound Labs and Soulsound to discuss the varied potential applications for point source loudspeakers. Following a successful event at the 2016 PLASA Show in London, this year’s Leeds show hosted a free training event for visitors to learn more about Dante networking. 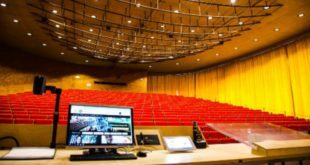 The event included presentations, training workshops and demos of Dante-enabled products from d&b, Focusrite, Roland, Bose and Out Board (TiMax SoundHub). Director of PLASA Events, Christopher Toulmin, commented: “It’s hard to believe next year is the tenth anniversary of PLASA Focus Leeds and we’ve got some exciting things planned. We’ve taken on additional outdoor space at the venue where we will be hosting audio demos. The area is normally used as a jousting arena – so this is a truly unique opportunity for us! We’ll also use the space to create plenty of outdoor experiences, including things such as pyrotechnics.